PA26101 is rated 3.0 out of 5 by 2. Rated 5 out of 5 by funfords from great trans I bought these trans a few months back and put in a 65 mustang with a mild 302. It shifts nice and smooth,works awesome. Rated 1 out of 5 by Anonymous from defective Bought this transmission a few months a go straddle with problems. The trans was a car application so I needed to have the output shaft replaced with a shorter truck application. Took it to a local trans shop for swap they found worn out bushings sludge and stuck pistons see pictures below. Performance Automatic reimbursed me for the added cost of cleaning sludge, pistons and replacing bushings. Trans was installed would not shift into high gear and started losing reverse gear and leaking. Removed trans took back to shop that installed the shaft (spent a week replacing pump gear that shattered and the other destroyed parts) put trans on the dyno and still could no get it to shift into high gear. After much trouble shooting They discovered Performance Automatic had the wrong valve body installed for that year case and that is why it would not shift into high gear.Went back to Performance Automatic With the information would not stand behind it second time. This trans is at best A cheap only replace what needs to be to get to work. Would no recommend this trans or any other Performance automatic product . 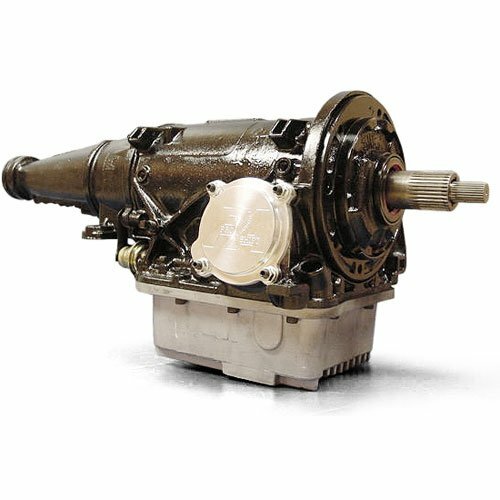 Most C4 bellhousings will fit this transmission.The transmission is rated to 450 hp. Will this fit a1966 Ford fairlane with a late model 302 roller motor? Yes, with the correct bellhousing and converter .